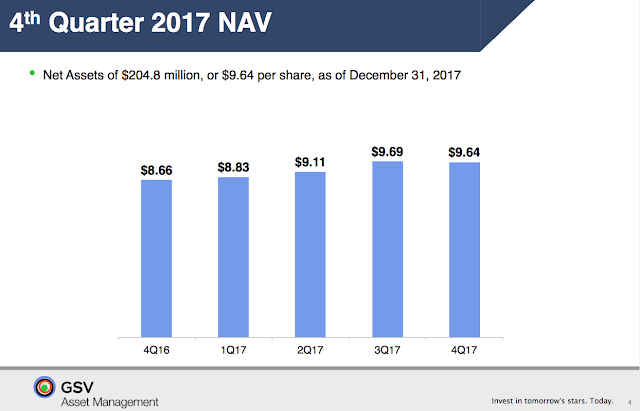 The struggles of GSV Capital (GSVC) are no more obvious than the NAV results for Q4 and 2017 in general. Heading into several high profile IPOs in 2018 and the investment company can't generate much in the way of momentum. GSV Capital reported that Q4 NAV declined by $0.05 to $9.64. This decline is despite bumping up the value of Spotify (SPOT) by over 10% heading into the IPO. The key part historically missed in valuing the stock are the losses hidden below the surface of the top 10 positions. While everybody was busy celebrating the upcoming IPO scores, GSV Capital took a $26.9 million hit to unrealized losses. A prime example of this situation was the company taking a $14 million hit from PayNearMe (now Handle Financial). For the year, the NAV grew nearly $1 for a respectable 11% gain. The problem is that GSV Capital benefitted from 2 of the top 4 positions heading towards an IPO, yet the gain was only a meager 11% for the year. The IPOs of Dropbox (DBX) and Spotify could add another $1-2 to the NAV in the next month. The company lists a $17.9 million position in Dropbox at about $13.65 per share. GSV Capital set an IPO price of $16 to $18 per share and could easily hit $25 for a nice boost to NAV. Spotify is more confusing as the company lists a position of 9,541 shares at a price of $3,800 for a position of $30.7 million. The media regularly discusses transactions in the $100 range. Even if both IPOs double, GSV Capital would only see about a $2 boost to NAV with 22 million shares outstanding. The stock traded around $9 following the Q4 release. The goal here has to be selling any shares on a jump above $10. This is about as good as it gets with GSV Capital as the company unloaded another top 5 position in JAMF Holdings leaving limited companies to boost the price for the remainder of the year. As typical of GSV Capital, the stock is down 10% while a prime position surges on the initial debut. The company always seems to grab victory from defeat with a $40M convertible debt offering today to distract the market from Dropbox trading at $30 in the initial trading following the IPO. The NAV should be above $10 now making the stock again trading at a huge discount at only $8. The converts replace some of the nearly $70M in outstanding debt and lower the interest rate to 4.75% from 5.25%. Still looking for $10-11 to exit this position. Ok enough already; a pullback to the 200 day moving average looks like profit taking on a large scale. Those shares won't be so easy to replace. 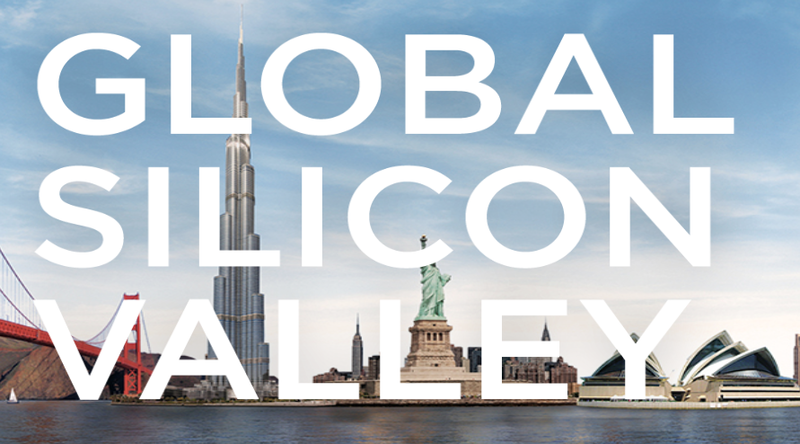 Watch for option action and the sign of GSVC management coming back as a buyer with the remaining dedicated funds. Large volume here is relative, how many weak hands will get bluffed out? Spotify April 3rd. Dropbox is holding pretty well considering the hype was looking for another SNAP.